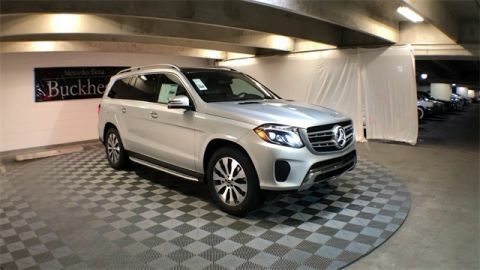 Mercedes-Benz of Buckhead is pleased to offer you this impressive 2019 Mercedes-Benz GLS, generously equipped and finished in beautiful Polar White, along with BLACK MB-TEX Artificial Leather. Advertised price excludes all official government fees and taxes, dealer fees and customer-selected options. Please inquire about our Star Elite and Loyalty Rewards Programs. You may also be eligible for additional incentives and/or discounts, so please contact your Mercedes-Benz of Buckhead Sales Professional for more information. 2019 Mercedes-Benz GLS GLS 450 Polar White Mercedes-Benz of Buckhead prides ourselves on our exceptional customer satisfaction ratings .... Everyday. Our Certified professional sales staff’s only goal is to treat you to the most relaxed, enjoyable and trustworthy purchasing experience that you have ever had. Our convenient Buckhead location near Lenox Mall and Phipps Plaza, very flexible Sales and Service hours, and expansive of selection of weather-protected new and pre-owned automobiles only adds to that experience. Please allow us to show you what make Mercedes-Benz of Buckhead the luxury car dealership of choice in the entire Southeast. Enjoy our gourmet Cafe Benz, award winning Service department and be assured that our commitment to serving you is absolutely the #1 priority! Mercedes-Benz of Buckhead - Where People Drive Us. Every new Mercedes-Benz comes with the peace of mind associated with 24/7 Roadside Assistance throughout its warranty period, the industry's highest consumer confidence ratings, and the quality, comfort, and safety you expect from the world's first car manufacturer.Mercedes-Benz of Buckhead is pleased to offer you this impressive 2019 Mercedes-Benz GLS, generously equipped and finished in beautiful Polar White, along with BLACK MB-TEX Artificial Leather. Advertised price excludes all official government fees and taxes, dealer fees and customer-selected options. Please inquire about our Star Elite and Loyalty Rewards Programs. You may also be eligible for additional incentives and/or discounts, so please contact your Mercedes-Benz of Buckhead Sales Professional for more information. 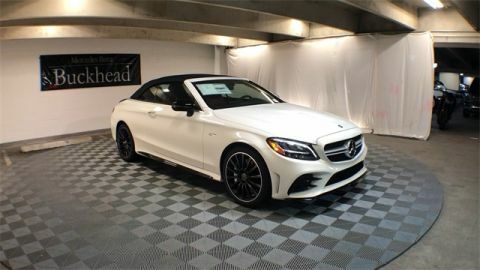 Mercedes-Benz of Buckhead is pleased to offer you this impressive 2019 Mercedes-Benz C-Class, generously equipped and finished in beautiful Diamond White, along with CRANBERRY RED LEATHER Leather. Advertised price excludes all official government fees and taxes, dealer fees and customer-selected options. Please inquire about our Star Elite and Loyalty Rewards Programs. You may also be eligible for additional incentives and/or discounts, so please contact your Mercedes-Benz of Buckhead Sales Professional for more information. 2019 Mercedes-Benz C-Class C 43 AMG® Diamond White The purchase or lease of any new AMG® vehicle from Mercedes-Benz of Buckhead includes a full day participation with the AMG® Driving Academy! Learn performance driving tactics and the full capabilities of your new AMG® with professional instructors. Limitations and restrictions apply, so inquire with your Sales Professional. Mercedes-Benz of Buckhead prides ourselves on our exceptional customer satisfaction ratings .... Everyday. Our Certified professional sales staff’s only goal is to treat you to the most relaxed, enjoyable and trustworthy purchasing experience that you have ever had. Our convenient Buckhead location near Lenox Mall and Phipps Plaza, very flexible Sales and Service hours, and expansive of selection of weather-protected new and pre-owned automobiles only adds to that experience. Please allow us to show you what make Mercedes-Benz of Buckhead the luxury car dealership of choice in the entire Southeast. Enjoy our gourmet Cafe Benz, award winning Service department and be assured that our commitment to serving you is absolutely the #1 priority! 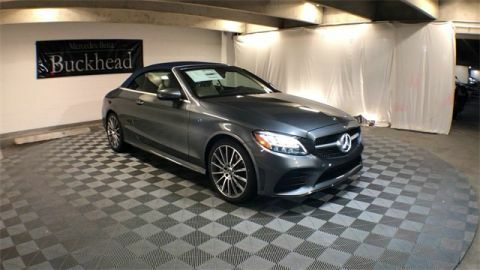 Mercedes-Benz of Buckhead - Where People Drive Us.Mercedes-Benz of Buckhead is pleased to offer you this impressive 2019 Mercedes-Benz C-Class, generously equipped and finished in beautiful Diamond White, along with CRANBERRY RED LEATHER Leather. Advertised price excludes all official government fees and taxes, dealer fees and customer-selected options. Please inquire about our Star Elite and Loyalty Rewards Programs. You may also be eligible for additional incentives and/or discounts, so please contact your Mercedes-Benz of Buckhead Sales Professional for more information. 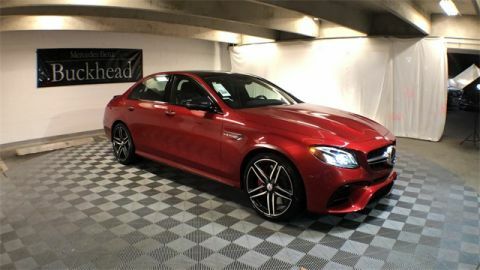 Mercedes-Benz of Buckhead is pleased to offer you this impressive 2019 Mercedes-Benz E-Class, generously equipped and finished in beautiful Cardinal Red, along with Amg Black Nappa W/Silver. Advertised price excludes all official government fees and taxes, dealer fees and customer-selected options. Please inquire about our Star Elite and Loyalty Rewards Programs. You may also be eligible for additional incentives and/or discounts, so please contact your Mercedes-Benz of Buckhead Sales Professional for more information. 2019 Mercedes-Benz E-Class E 63 S AMG® Cardinal Red Mercedes-Benz of Buckhead prides ourselves on our exceptional customer satisfaction ratings .... Everyday. Our Certified professional sales staff’s only goal is to treat you to the most relaxed, enjoyable and trustworthy purchasing experience that you have ever had. Our convenient Buckhead location near Lenox Mall and Phipps Plaza, very flexible Sales and Service hours, and expansive of selection of weather-protected new and pre-owned automobiles only adds to that experience. Please allow us to show you what make Mercedes-Benz of Buckhead the luxury car dealership of choice in the entire Southeast. Enjoy our gourmet Cafe Benz, award winning Service department and be assured that our commitment to serving you is absolutely the #1 priority! Mercedes-Benz of Buckhead - Where People Drive Us. Every new Mercedes-Benz comes with the peace of mind associated with 24/7 Roadside Assistance throughout its warranty period, the industry's highest consumer confidence ratings, and the quality, comfort, and safety you expect from the world's first car manufacturer.Mercedes-Benz of Buckhead is pleased to offer you this impressive 2019 Mercedes-Benz E-Class, generously equipped and finished in beautiful Cardinal Red, along with Amg Black Nappa W/Silver. Advertised price excludes all official government fees and taxes, dealer fees and customer-selected options. Please inquire about our Star Elite and Loyalty Rewards Programs. You may also be eligible for additional incentives and/or discounts, so please contact your Mercedes-Benz of Buckhead Sales Professional for more information. Mercedes-Benz of Buckhead is pleased to offer you this impressive 2019 Mercedes-Benz Sprinter 2500, generously equipped and finished in beautiful Artic White, along with Fabric Black. Advertised price excludes all official government fees and taxes, dealer fees and customer-selected options. Please inquire about our Star Elite and Loyalty Rewards Programs. You may also be eligible for additional incentives and/or discounts, so please contact your Mercedes-Benz of Buckhead Sales Professional for more information. 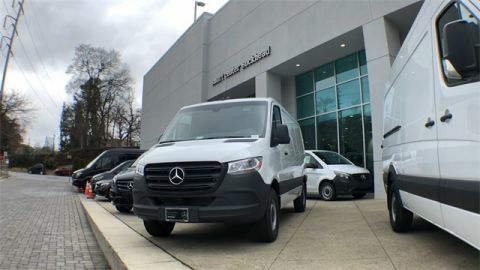 2019 Mercedes-Benz Sprinter 2500 Artic White Mercedes-Benz of Buckhead prides ourselves on our exceptional customer satisfaction ratings .... Everyday. Our Certified professional sales staff’s only goal is to treat you to the most relaxed, enjoyable and trustworthy purchasing experience that you have ever had. Our convenient Buckhead location near Lenox Mall and Phipps Plaza, very flexible Sales and Service hours, and expansive of selection of weather-protected new and pre-owned automobiles only adds to that experience. Please allow us to show you what make Mercedes-Benz of Buckhead the luxury car dealership of choice in the entire Southeast. Enjoy our gourmet Cafe Benz, award winning Service department and be assured that our commitment to serving you is absolutely the #1 priority! Mercedes-Benz of Buckhead - Where People Drive Us. Every new Mercedes-Benz comes with the peace of mind associated with 24/7 Roadside Assistance throughout its warranty period, the industry's highest consumer confidence ratings, and the quality, comfort, and safety you expect from the world's first car manufacturer.Mercedes-Benz of Buckhead is pleased to offer you this impressive 2019 Mercedes-Benz Sprinter 2500, generously equipped and finished in beautiful Artic White, along with Fabric Black. Advertised price excludes all official government fees and taxes, dealer fees and customer-selected options. Please inquire about our Star Elite and Loyalty Rewards Programs. You may also be eligible for additional incentives and/or discounts, so please contact your Mercedes-Benz of Buckhead Sales Professional for more information. 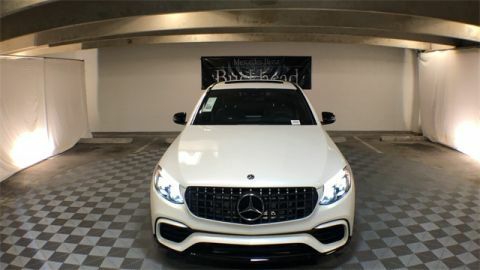 Mercedes-Benz of Buckhead is pleased to offer you this impressive 2019 Mercedes-Benz GLC, generously equipped and finished in beautiful Diamond White, along with . Advertised price excludes all official government fees and taxes, dealer fees and customer-selected options. Please inquire about our Star Elite and Loyalty Rewards Programs. You may also be eligible for additional incentives and/or discounts, so please contact your Mercedes-Benz of Buckhead Sales Professional for more information. 2019 Mercedes-Benz GLC GLC 63 AMG® Diamond White The purchase or lease of any new AMG® vehicle from Mercedes-Benz of Buckhead includes a full day participation with the AMG® Driving Academy! Learn performance driving tactics and the full capabilities of your new AMG® with professional instructors. Limitations and restrictions apply, so inquire with your Sales Professional. Mercedes-Benz of Buckhead prides ourselves on our exceptional customer satisfaction ratings .... Everyday. Our Certified professional sales staff’s only goal is to treat you to the most relaxed, enjoyable and trustworthy purchasing experience that you have ever had. Our convenient Buckhead location near Lenox Mall and Phipps Plaza, very flexible Sales and Service hours, and expansive of selection of weather-protected new and pre-owned automobiles only adds to that experience. Please allow us to show you what make Mercedes-Benz of Buckhead the luxury car dealership of choice in the entire Southeast. Enjoy our gourmet Cafe Benz, award winning Service department and be assured that our commitment to serving you is absolutely the #1 priority! 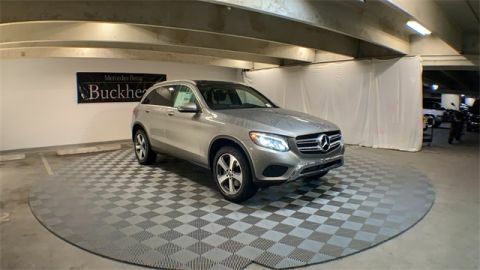 Mercedes-Benz of Buckhead - Where People Drive Us.Mercedes-Benz of Buckhead is pleased to offer you this impressive 2019 Mercedes-Benz GLC, generously equipped and finished in beautiful Diamond White, along with . Advertised price excludes all official government fees and taxes, dealer fees and customer-selected options. Please inquire about our Star Elite and Loyalty Rewards Programs. You may also be eligible for additional incentives and/or discounts, so please contact your Mercedes-Benz of Buckhead Sales Professional for more information. Mercedes-Benz of Buckhead is pleased to offer you this impressive 2019 Mercedes-Benz GLC, generously equipped and finished in beautiful Cardinal Red, along with SILK BEIGE MB TEX Artificial Leather. Advertised price excludes all official government fees and taxes, dealer fees and customer-selected options. Please inquire about our Star Elite and Loyalty Rewards Programs. You may also be eligible for additional incentives and/or discounts, so please contact your Mercedes-Benz of Buckhead Sales Professional for more information. 2019 Mercedes-Benz GLC GLC 300 Cardinal Red 22/27 City/Highway MPG Mercedes-Benz of Buckhead prides ourselves on our exceptional customer satisfaction ratings .... Everyday. Our Certified professional sales staff’s only goal is to treat you to the most relaxed, enjoyable and trustworthy purchasing experience that you have ever had. Our convenient Buckhead location near Lenox Mall and Phipps Plaza, very flexible Sales and Service hours, and expansive of selection of weather-protected new and pre-owned automobiles only adds to that experience. Please allow us to show you what make Mercedes-Benz of Buckhead the luxury car dealership of choice in the entire Southeast. Enjoy our gourmet Cafe Benz, award winning Service department and be assured that our commitment to serving you is absolutely the #1 priority! Mercedes-Benz of Buckhead - Where People Drive Us. Every new Mercedes-Benz comes with the peace of mind associated with 24/7 Roadside Assistance throughout its warranty period, the industry's highest consumer confidence ratings, and the quality, comfort, and safety you expect from the world's first car manufacturer.Mercedes-Benz of Buckhead is pleased to offer you this impressive 2019 Mercedes-Benz GLC, generously equipped and finished in beautiful Cardinal Red, along with SILK BEIGE MB TEX Artificial Leather. Advertised price excludes all official government fees and taxes, dealer fees and customer-selected options. Please inquire about our Star Elite and Loyalty Rewards Programs. You may also be eligible for additional incentives and/or discounts, so please contact your Mercedes-Benz of Buckhead Sales Professional for more information. 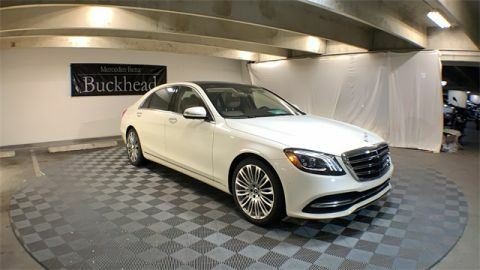 Mercedes-Benz of Buckhead is pleased to offer you this impressive 2019 Mercedes-Benz S-Class, generously equipped and finished in beautiful Diamond White, along with . Advertised price excludes all official government fees and taxes, dealer fees and customer-selected options. Please inquire about our Star Elite and Loyalty Rewards Programs. You may also be eligible for additional incentives and/or discounts, so please contact your Mercedes-Benz of Buckhead Sales Professional for more information. 2019 Mercedes-Benz S-Class S 560 Diamond White 17/27 City/Highway MPG Mercedes-Benz of Buckhead prides ourselves on our exceptional customer satisfaction ratings .... Everyday. Our Certified professional sales staff’s only goal is to treat you to the most relaxed, enjoyable and trustworthy purchasing experience that you have ever had. Our convenient Buckhead location near Lenox Mall and Phipps Plaza, very flexible Sales and Service hours, and expansive of selection of weather-protected new and pre-owned automobiles only adds to that experience. Please allow us to show you what make Mercedes-Benz of Buckhead the luxury car dealership of choice in the entire Southeast. Enjoy our gourmet Cafe Benz, award winning Service department and be assured that our commitment to serving you is absolutely the #1 priority! Mercedes-Benz of Buckhead - Where People Drive Us. Every new Mercedes-Benz comes with the peace of mind associated with 24/7 Roadside Assistance throughout its warranty period, the industry's highest consumer confidence ratings, and the quality, comfort, and safety you expect from the world's first car manufacturer.Mercedes-Benz of Buckhead is pleased to offer you this impressive 2019 Mercedes-Benz S-Class, generously equipped and finished in beautiful Diamond White, along with . Advertised price excludes all official government fees and taxes, dealer fees and customer-selected options. Please inquire about our Star Elite and Loyalty Rewards Programs. You may also be eligible for additional incentives and/or discounts, so please contact your Mercedes-Benz of Buckhead Sales Professional for more information. Mercedes-Benz of Buckhead is pleased to offer you this impressive 2019 Mercedes-Benz E-Class, generously equipped and finished in beautiful Silver Metallic, along with Macchiato Beige/Espresso. Advertised price excludes all official government fees and taxes, dealer fees and customer-selected options. Please inquire about our Star Elite and Loyalty Rewards Programs. You may also be eligible for additional incentives and/or discounts, so please contact your Mercedes-Benz of Buckhead Sales Professional for more information. 2019 Mercedes-Benz E-Class E 450 Silver Metallic 20/27 City/Highway MPG Mercedes-Benz of Buckhead prides ourselves on our exceptional customer satisfaction ratings .... Everyday. Our Certified professional sales staff’s only goal is to treat you to the most relaxed, enjoyable and trustworthy purchasing experience that you have ever had. Our convenient Buckhead location near Lenox Mall and Phipps Plaza, very flexible Sales and Service hours, and expansive of selection of weather-protected new and pre-owned automobiles only adds to that experience. Please allow us to show you what make Mercedes-Benz of Buckhead the luxury car dealership of choice in the entire Southeast. Enjoy our gourmet Cafe Benz, award winning Service department and be assured that our commitment to serving you is absolutely the #1 priority! Mercedes-Benz of Buckhead - Where People Drive Us. Every new Mercedes-Benz comes with the peace of mind associated with 24/7 Roadside Assistance throughout its warranty period, the industry's highest consumer confidence ratings, and the quality, comfort, and safety you expect from the world's first car manufacturer.Mercedes-Benz of Buckhead is pleased to offer you this impressive 2019 Mercedes-Benz E-Class, generously equipped and finished in beautiful Silver Metallic, along with Macchiato Beige/Espresso. Advertised price excludes all official government fees and taxes, dealer fees and customer-selected options. Please inquire about our Star Elite and Loyalty Rewards Programs. You may also be eligible for additional incentives and/or discounts, so please contact your Mercedes-Benz of Buckhead Sales Professional for more information. 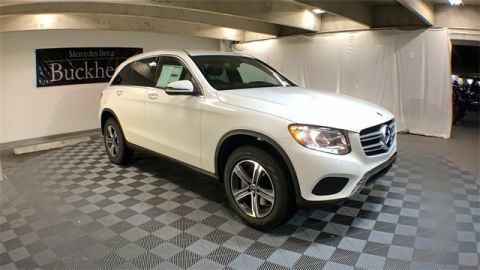 Mercedes-Benz of Buckhead is pleased to offer you this impressive 2019 Mercedes-Benz GLC, generously equipped and finished in beautiful Polar White, along with SILK BEIGE MB TEX Artificial Leather. Advertised price excludes all official government fees and taxes, dealer fees and customer-selected options. Please inquire about our Star Elite and Loyalty Rewards Programs. You may also be eligible for additional incentives and/or discounts, so please contact your Mercedes-Benz of Buckhead Sales Professional for more information. 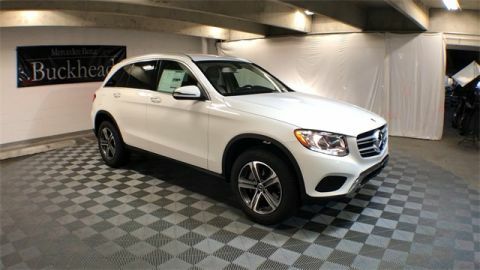 2019 Mercedes-Benz GLC GLC 300 Polar White 22/27 City/Highway MPG Mercedes-Benz of Buckhead prides ourselves on our exceptional customer satisfaction ratings .... Everyday. Our Certified professional sales staff’s only goal is to treat you to the most relaxed, enjoyable and trustworthy purchasing experience that you have ever had. Our convenient Buckhead location near Lenox Mall and Phipps Plaza, very flexible Sales and Service hours, and expansive of selection of weather-protected new and pre-owned automobiles only adds to that experience. Please allow us to show you what make Mercedes-Benz of Buckhead the luxury car dealership of choice in the entire Southeast. Enjoy our gourmet Cafe Benz, award winning Service department and be assured that our commitment to serving you is absolutely the #1 priority! Mercedes-Benz of Buckhead - Where People Drive Us. 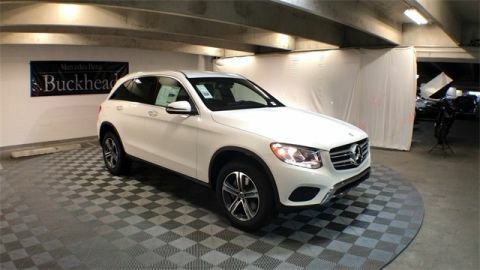 Every new Mercedes-Benz comes with the peace of mind associated with 24/7 Roadside Assistance throughout its warranty period, the industry's highest consumer confidence ratings, and the quality, comfort, and safety you expect from the world's first car manufacturer.Mercedes-Benz of Buckhead is pleased to offer you this impressive 2019 Mercedes-Benz GLC, generously equipped and finished in beautiful Polar White, along with SILK BEIGE MB TEX Artificial Leather. Advertised price excludes all official government fees and taxes, dealer fees and customer-selected options. Please inquire about our Star Elite and Loyalty Rewards Programs. You may also be eligible for additional incentives and/or discounts, so please contact your Mercedes-Benz of Buckhead Sales Professional for more information. 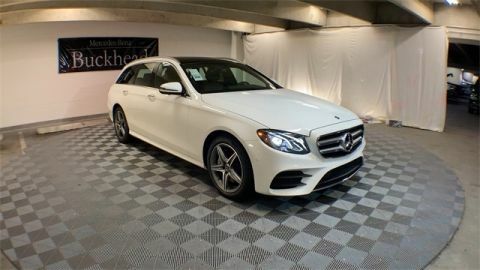 Mercedes-Benz of Buckhead is pleased to offer you this impressive 2019 Mercedes-Benz E-Class, generously equipped and finished in beautiful Diamond White, along with . Advertised price excludes all official government fees and taxes, dealer fees and customer-selected options. Please inquire about our Star Elite and Loyalty Rewards Programs. You may also be eligible for additional incentives and/or discounts, so please contact your Mercedes-Benz of Buckhead Sales Professional for more information. 2019 Mercedes-Benz E-Class E 53 AMG® Diamond White 21/28 City/Highway MPG Mercedes-Benz of Buckhead prides ourselves on our exceptional customer satisfaction ratings .... Everyday. Our Certified professional sales staff’s only goal is to treat you to the most relaxed, enjoyable and trustworthy purchasing experience that you have ever had. Our convenient Buckhead location near Lenox Mall and Phipps Plaza, very flexible Sales and Service hours, and expansive of selection of weather-protected new and pre-owned automobiles only adds to that experience. Please allow us to show you what make Mercedes-Benz of Buckhead the luxury car dealership of choice in the entire Southeast. Enjoy our gourmet Cafe Benz, award winning Service department and be assured that our commitment to serving you is absolutely the #1 priority! Mercedes-Benz of Buckhead - Where People Drive Us. Every new Mercedes-Benz comes with the peace of mind associated with 24/7 Roadside Assistance throughout its warranty period, the industry's highest consumer confidence ratings, and the quality, comfort, and safety you expect from the world's first car manufacturer.Mercedes-Benz of Buckhead is pleased to offer you this impressive 2019 Mercedes-Benz E-Class, generously equipped and finished in beautiful Diamond White, along with . Advertised price excludes all official government fees and taxes, dealer fees and customer-selected options. Please inquire about our Star Elite and Loyalty Rewards Programs. You may also be eligible for additional incentives and/or discounts, so please contact your Mercedes-Benz of Buckhead Sales Professional for more information. 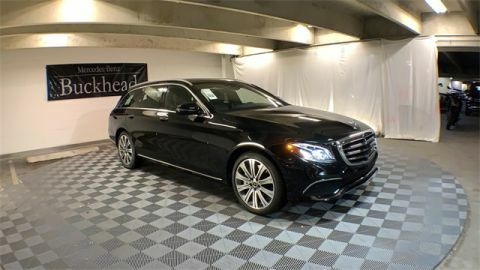 Mercedes-Benz of Buckhead is pleased to offer you this impressive 2019 Mercedes-Benz E-Class, generously equipped and finished in beautiful Black, along with BLACK MB-TEX Artificial Leather. Advertised price excludes all official government fees and taxes, dealer fees and customer-selected options. Please inquire about our Star Elite and Loyalty Rewards Programs. You may also be eligible for additional incentives and/or discounts, so please contact your Mercedes-Benz of Buckhead Sales Professional for more information. 2019 Mercedes-Benz E-Class E 450 Black 19/26 City/Highway MPG Mercedes-Benz of Buckhead prides ourselves on our exceptional customer satisfaction ratings .... Everyday. Our Certified professional sales staff’s only goal is to treat you to the most relaxed, enjoyable and trustworthy purchasing experience that you have ever had. Our convenient Buckhead location near Lenox Mall and Phipps Plaza, very flexible Sales and Service hours, and expansive of selection of weather-protected new and pre-owned automobiles only adds to that experience. Please allow us to show you what make Mercedes-Benz of Buckhead the luxury car dealership of choice in the entire Southeast. Enjoy our gourmet Cafe Benz, award winning Service department and be assured that our commitment to serving you is absolutely the #1 priority! Mercedes-Benz of Buckhead - Where People Drive Us. Every new Mercedes-Benz comes with the peace of mind associated with 24/7 Roadside Assistance throughout its warranty period, the industry's highest consumer confidence ratings, and the quality, comfort, and safety you expect from the world's first car manufacturer.Mercedes-Benz of Buckhead is pleased to offer you this impressive 2019 Mercedes-Benz E-Class, generously equipped and finished in beautiful Black, along with BLACK MB-TEX Artificial Leather. Advertised price excludes all official government fees and taxes, dealer fees and customer-selected options. Please inquire about our Star Elite and Loyalty Rewards Programs. You may also be eligible for additional incentives and/or discounts, so please contact your Mercedes-Benz of Buckhead Sales Professional for more information. Mercedes-Benz of Buckhead is pleased to offer you this impressive 2019 Mercedes-Benz E-Class, generously equipped and finished in beautiful Obsidian Black, along with Amg Black Nappa W/Silver. Advertised price excludes all official government fees and taxes, dealer fees and customer-selected options. Please inquire about our Star Elite and Loyalty Rewards Programs. You may also be eligible for additional incentives and/or discounts, so please contact your Mercedes-Benz of Buckhead Sales Professional for more information. 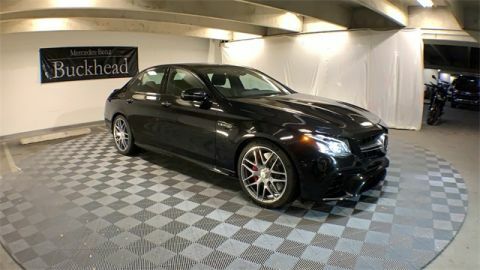 2019 Mercedes-Benz E-Class E 63 S AMG® Obsidian Black The purchase or lease of any new AMG® vehicle from Mercedes-Benz of Buckhead includes a full day participation with the AMG® Driving Academy! Learn performance driving tactics and the full capabilities of your new AMG® with professional instructors. Limitations and restrictions apply, so inquire with your Sales Professional. Mercedes-Benz of Buckhead prides ourselves on our exceptional customer satisfaction ratings .... Everyday. Our Certified professional sales staff’s only goal is to treat you to the most relaxed, enjoyable and trustworthy purchasing experience that you have ever had. Our convenient Buckhead location near Lenox Mall and Phipps Plaza, very flexible Sales and Service hours, and expansive of selection of weather-protected new and pre-owned automobiles only adds to that experience. Please allow us to show you what make Mercedes-Benz of Buckhead the luxury car dealership of choice in the entire Southeast. Enjoy our gourmet Cafe Benz, award winning Service department and be assured that our commitment to serving you is absolutely the #1 priority! Mercedes-Benz of Buckhead - Where People Drive Us.Mercedes-Benz of Buckhead is pleased to offer you this impressive 2019 Mercedes-Benz E-Class, generously equipped and finished in beautiful Obsidian Black, along with Amg Black Nappa W/Silver. Advertised price excludes all official government fees and taxes, dealer fees and customer-selected options. Please inquire about our Star Elite and Loyalty Rewards Programs. You may also be eligible for additional incentives and/or discounts, so please contact your Mercedes-Benz of Buckhead Sales Professional for more information. 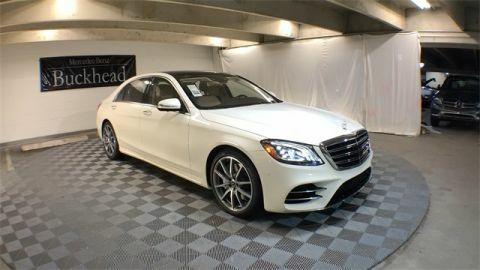 Mercedes-Benz of Buckhead is pleased to offer you this impressive 2019 Mercedes-Benz S-Class, generously equipped and finished in beautiful Diamond White, along with . Advertised price excludes all official government fees and taxes, dealer fees and customer-selected options. Please inquire about our Star Elite and Loyalty Rewards Programs. You may also be eligible for additional incentives and/or discounts, so please contact your Mercedes-Benz of Buckhead Sales Professional for more information. 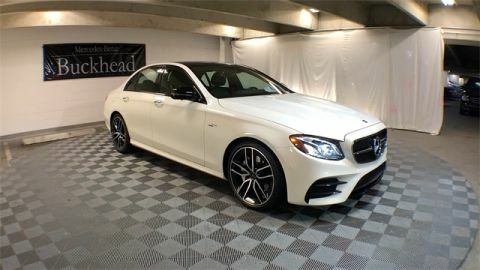 2019 Mercedes-Benz S-Class S 450 Diamond White 19/28 City/Highway MPG Mercedes-Benz of Buckhead prides ourselves on our exceptional customer satisfaction ratings .... Everyday. Our Certified professional sales staff’s only goal is to treat you to the most relaxed, enjoyable and trustworthy purchasing experience that you have ever had. Our convenient Buckhead location near Lenox Mall and Phipps Plaza, very flexible Sales and Service hours, and expansive of selection of weather-protected new and pre-owned automobiles only adds to that experience. Please allow us to show you what make Mercedes-Benz of Buckhead the luxury car dealership of choice in the entire Southeast. Enjoy our gourmet Cafe Benz, award winning Service department and be assured that our commitment to serving you is absolutely the #1 priority! Mercedes-Benz of Buckhead - Where People Drive Us. Every new Mercedes-Benz comes with the peace of mind associated with 24/7 Roadside Assistance throughout its warranty period, the industry's highest consumer confidence ratings, and the quality, comfort, and safety you expect from the world's first car manufacturer.Mercedes-Benz of Buckhead is pleased to offer you this impressive 2019 Mercedes-Benz S-Class, generously equipped and finished in beautiful Diamond White, along with . Advertised price excludes all official government fees and taxes, dealer fees and customer-selected options. Please inquire about our Star Elite and Loyalty Rewards Programs. You may also be eligible for additional incentives and/or discounts, so please contact your Mercedes-Benz of Buckhead Sales Professional for more information. 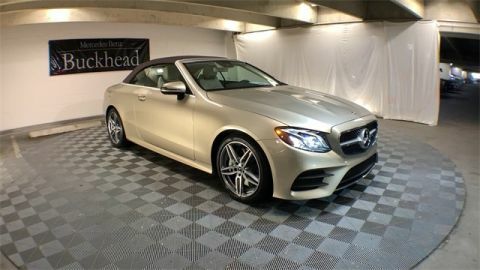 Mercedes-Benz of Buckhead is pleased to offer you this impressive 2019 Mercedes-Benz E-Class, generously equipped and finished in beautiful Polar White, along with SADDLE BROWN MB TEX Artificial Leather. Advertised price excludes all official government fees and taxes, dealer fees and customer-selected options. Please inquire about our Star Elite and Loyalty Rewards Programs. You may also be eligible for additional incentives and/or discounts, so please contact your Mercedes-Benz of Buckhead Sales Professional for more information. 2019 Mercedes-Benz E-Class E 450 Polar White 19/26 City/Highway MPG Mercedes-Benz of Buckhead prides ourselves on our exceptional customer satisfaction ratings .... Everyday. Our Certified professional sales staff’s only goal is to treat you to the most relaxed, enjoyable and trustworthy purchasing experience that you have ever had. Our convenient Buckhead location near Lenox Mall and Phipps Plaza, very flexible Sales and Service hours, and expansive of selection of weather-protected new and pre-owned automobiles only adds to that experience. Please allow us to show you what make Mercedes-Benz of Buckhead the luxury car dealership of choice in the entire Southeast. Enjoy our gourmet Cafe Benz, award winning Service department and be assured that our commitment to serving you is absolutely the #1 priority! Mercedes-Benz of Buckhead - Where People Drive Us. Every new Mercedes-Benz comes with the peace of mind associated with 24/7 Roadside Assistance throughout its warranty period, the industry's highest consumer confidence ratings, and the quality, comfort, and safety you expect from the world's first car manufacturer.Mercedes-Benz of Buckhead is pleased to offer you this impressive 2019 Mercedes-Benz E-Class, generously equipped and finished in beautiful Polar White, along with SADDLE BROWN MB TEX Artificial Leather. Advertised price excludes all official government fees and taxes, dealer fees and customer-selected options. Please inquire about our Star Elite and Loyalty Rewards Programs. You may also be eligible for additional incentives and/or discounts, so please contact your Mercedes-Benz of Buckhead Sales Professional for more information. Mercedes-Benz of Buckhead is pleased to offer you this impressive 2019 Mercedes-Benz GLC, generously equipped and finished in beautiful Mojave, along with BLACK MB TEX Artificial Leather. Advertised price excludes all official government fees and taxes, dealer fees and customer-selected options. Please inquire about our Star Elite and Loyalty Rewards Programs. You may also be eligible for additional incentives and/or discounts, so please contact your Mercedes-Benz of Buckhead Sales Professional for more information. 2019 Mercedes-Benz GLC GLC 300 Mojave 22/27 City/Highway MPG Mercedes-Benz of Buckhead prides ourselves on our exceptional customer satisfaction ratings .... Everyday. Our Certified professional sales staff’s only goal is to treat you to the most relaxed, enjoyable and trustworthy purchasing experience that you have ever had. Our convenient Buckhead location near Lenox Mall and Phipps Plaza, very flexible Sales and Service hours, and expansive of selection of weather-protected new and pre-owned automobiles only adds to that experience. Please allow us to show you what make Mercedes-Benz of Buckhead the luxury car dealership of choice in the entire Southeast. Enjoy our gourmet Cafe Benz, award winning Service department and be assured that our commitment to serving you is absolutely the #1 priority! Mercedes-Benz of Buckhead - Where People Drive Us. 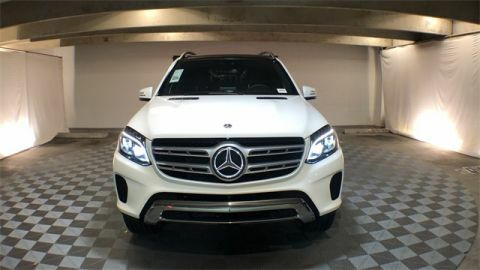 Every new Mercedes-Benz comes with the peace of mind associated with 24/7 Roadside Assistance throughout its warranty period, the industry's highest consumer confidence ratings, and the quality, comfort, and safety you expect from the world's first car manufacturer.Mercedes-Benz of Buckhead is pleased to offer you this impressive 2019 Mercedes-Benz GLC, generously equipped and finished in beautiful Mojave, along with BLACK MB TEX Artificial Leather. Advertised price excludes all official government fees and taxes, dealer fees and customer-selected options. Please inquire about our Star Elite and Loyalty Rewards Programs. You may also be eligible for additional incentives and/or discounts, so please contact your Mercedes-Benz of Buckhead Sales Professional for more information. 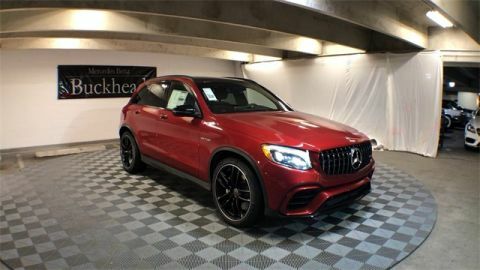 Mercedes-Benz of Buckhead is pleased to offer you this impressive 2019 Mercedes-Benz GLC, generously equipped and finished in beautiful Cardinal Red, along with . Advertised price excludes all official government fees and taxes, dealer fees and customer-selected options. Please inquire about our Star Elite and Loyalty Rewards Programs. You may also be eligible for additional incentives and/or discounts, so please contact your Mercedes-Benz of Buckhead Sales Professional for more information. 2019 Mercedes-Benz GLC GLC 63 AMG® Cardinal Red The purchase or lease of any new AMG® vehicle from Mercedes-Benz of Buckhead includes a full day participation with the AMG® Driving Academy! Learn performance driving tactics and the full capabilities of your new AMG® with professional instructors. Limitations and restrictions apply, so inquire with your Sales Professional. Mercedes-Benz of Buckhead prides ourselves on our exceptional customer satisfaction ratings .... Everyday. Our Certified professional sales staff’s only goal is to treat you to the most relaxed, enjoyable and trustworthy purchasing experience that you have ever had. Our convenient Buckhead location near Lenox Mall and Phipps Plaza, very flexible Sales and Service hours, and expansive of selection of weather-protected new and pre-owned automobiles only adds to that experience. Please allow us to show you what make Mercedes-Benz of Buckhead the luxury car dealership of choice in the entire Southeast. Enjoy our gourmet Cafe Benz, award winning Service department and be assured that our commitment to serving you is absolutely the #1 priority! 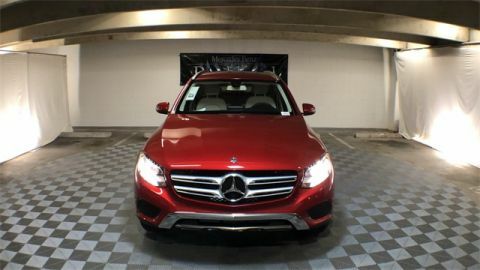 Mercedes-Benz of Buckhead - Where People Drive Us.Mercedes-Benz of Buckhead is pleased to offer you this impressive 2019 Mercedes-Benz GLC, generously equipped and finished in beautiful Cardinal Red, along with . Advertised price excludes all official government fees and taxes, dealer fees and customer-selected options. Please inquire about our Star Elite and Loyalty Rewards Programs. You may also be eligible for additional incentives and/or discounts, so please contact your Mercedes-Benz of Buckhead Sales Professional for more information. Mercedes-Benz of Buckhead is pleased to offer you this impressive 2019 Mercedes-Benz GLS, generously equipped and finished in beautiful Iridium Silver, along with BLACK MB-TEX Artificial Leather. Advertised price excludes all official government fees and taxes, dealer fees and customer-selected options. Please inquire about our Star Elite and Loyalty Rewards Programs. You may also be eligible for additional incentives and/or discounts, so please contact your Mercedes-Benz of Buckhead Sales Professional for more information. 2019 Mercedes-Benz GLS GLS 450 Iridium Silver Mercedes-Benz of Buckhead prides ourselves on our exceptional customer satisfaction ratings .... Everyday. Our Certified professional sales staff’s only goal is to treat you to the most relaxed, enjoyable and trustworthy purchasing experience that you have ever had. Our convenient Buckhead location near Lenox Mall and Phipps Plaza, very flexible Sales and Service hours, and expansive of selection of weather-protected new and pre-owned automobiles only adds to that experience. Please allow us to show you what make Mercedes-Benz of Buckhead the luxury car dealership of choice in the entire Southeast. Enjoy our gourmet Cafe Benz, award winning Service department and be assured that our commitment to serving you is absolutely the #1 priority! Mercedes-Benz of Buckhead - Where People Drive Us. Every new Mercedes-Benz comes with the peace of mind associated with 24/7 Roadside Assistance throughout its warranty period, the industry's highest consumer confidence ratings, and the quality, comfort, and safety you expect from the world's first car manufacturer.Mercedes-Benz of Buckhead is pleased to offer you this impressive 2019 Mercedes-Benz GLS, generously equipped and finished in beautiful Iridium Silver, along with BLACK MB-TEX Artificial Leather. Advertised price excludes all official government fees and taxes, dealer fees and customer-selected options. Please inquire about our Star Elite and Loyalty Rewards Programs. You may also be eligible for additional incentives and/or discounts, so please contact your Mercedes-Benz of Buckhead Sales Professional for more information. Buckhead is a prime location to buy new cars, especially the beautiful flashy and luxurious vehicles of the Mercedes-Benz brand, and we’ve got all of those cars and SUVs ready to go for you here at Mercedes-Benz of Buckhead. Visit us on our lot today to look at a full line of Mercedes-Benz vehicles. And if you’re interested in buying new, we always have deals and specials that will make it easier on your budget. Many people wonder whether it’s beneficial to buy new instead of used, and although there are great used cars out there worth buying, for your specific circumstances, ideally new is the way to go. If you can afford to buy new, the newer the better (as long as your budget can withstand that line of thinking). There is a lot of incentive to buy new. First and foremost, when you buy new, you’re getting the latest technology, both on the exterior, the interior, and the performance specs. Some engines that are out this year simply didn’t exist five years ago, and much of the touchscreen navigation systems that are in new cars also weren’t installed in cars much just five short years ago. If you’re a heavily connected driver, you’ll want the latest USB charging devices AND the latest entertainment systems installed on your dash, and you’re only going to get the latest and greatest if you buy new. How new? As new as your budget allows! New cars come with their own special set of perks. If you want a vehicle to keep and treasure for the next decade or more, new is easily the best way to go. Some people don’t like to switch out cars every few years, so when they buy a vehicle they want it to be as new as possible so they can keep that car on the road for decades. And we’re completely in agreement about that. Buying new means you’re going to have your car for longer or at least have the option to have it for longer. In addition to these perks, you’ve got things like fuel efficiency advances that weren’t around five short years ago, so if you buy new you are likely to safe on fuel over the long haul. That means even though you’re paying more for the vehicle than you would a used car, the savings are going to add up over time when it comes to actually operating that vehicle. Mercedes-Benz of Buckhead sales staff knows that when you look at a new car, you are paying for quality. You expect your interior and exterior to be a bit nicer than cars in the past, and that’s what we aim to obtain for you. We fully inspect our vehicles before we put them up for sale, making sure that they meet our high standards and yours. We’re ready to sell you your next new vehicle! All you need to do now is browse our website and find the Mercedes-Benz that interests you. Give us a call to set up a test drive, apply for financing, or get a free quote today. We’re waiting to serve you.